Astronomers have found a spiral galaxy that may be spinning to the beat of a different cosmic drummer. To the surprise of astronomers, the galaxy, called NGC 4622, appears to be rotating in the opposite direction to what they expected. Pictures from the NASA/ESA Hubble Space Telescope helped astronomers determine that the galaxy may be spinning clockwise by showing which side of the galaxy is closer to Earth. 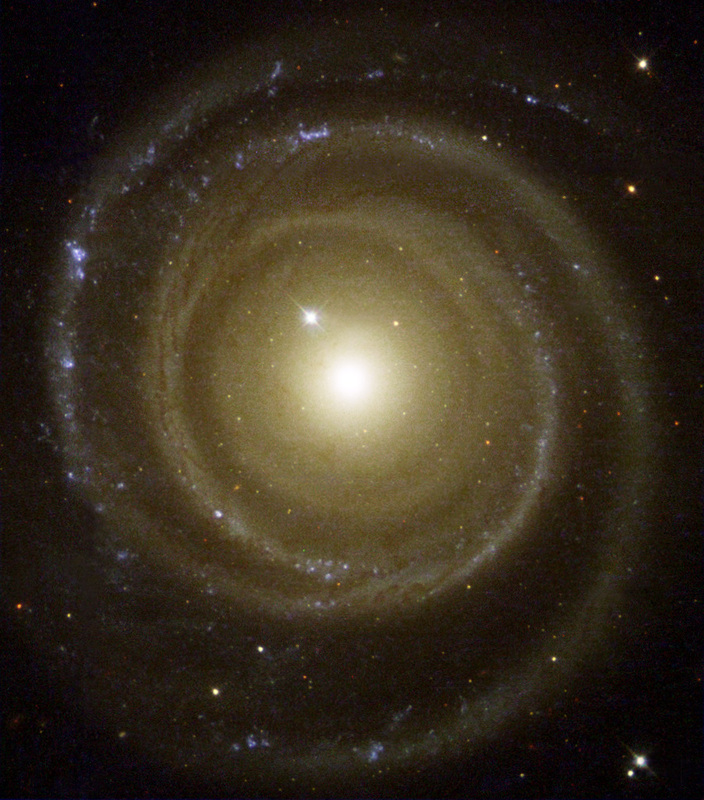 The image shows NGC 4622 and its outer pair of winding arms full of new stars (shown in blue).